A group of thirteen men gathered together in a small upper room in Jerusalem. They were celebrating together the Jewish feast of Passover. The dinner conversation was centered around the story of God’s people. The culmination was different though, Passover was being redefined, no longer was it simply about redemption from slavery but redemption from sin. The Teacher, Jesus, was now the Passover lamb. This group of men made their way from dinner to a garden outside the city, a beautiful garden on a hill overlooking the Temple. Then in the distance the torches could be seen descending from the city and coming towards them. Life as they knew it would never be the same. The Seder Dinner and Maundy Thursday Worship gathering at Grace Chapel is a time for us to meet together and remember the night that history was split in two and the events that led to the redemption of God’s people were put into motion. 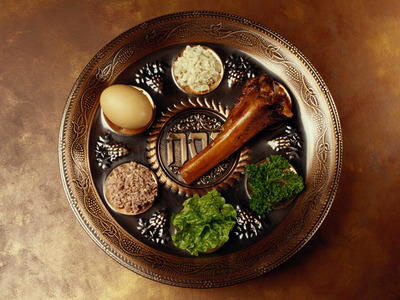 Join us April 5 for a Seder Dinner and observance of Maundy Thursday. Dinner (a full meal of soup, roasted chicken, potato, and vegetable) will be served at 6 pm and worship will begin at 7:30 pm. Registration is now closed. We’ll see you next year! Childcare is available for children 4 years old and under.